Dogecoin, a virtual currency that was created for fun and actually gained some traction, has suffered its first hacking incident after online wallet service Dogewallet saw an estimated 21 million Dogecoins belonging to its users snatched by a hacker. After users posted complaints about lost coins on the forum at Doges.org, the team at Dogewallet took to Reddit to confirm that the service was attacked. We’re incredibly sorry to all users who lost funds from the attack. Please use offline wallets as online wallets are meant for new users who aren’t using them as a storage of coins. Offline wallets are more safe and secure than any online wallet due to possible attacks that can originate from anyone, anywhere. All invested user balances will be fully 100% compensated first. We’ll be working on compensating as much balance as possible that wasn’t invested right after (roughly 30m Dogecoins can be compensated immediately). Dogecoin has gained popularity for tipping online, a process that rewards social good and creative initiatives, but it has also got attention because it is relatively easy to mine. Bitcoin mining is a resource and capital intensive process that requires specialist rigs and even dedicated mining centers, like this one in Hong Kong, but almost anyone can mine for Dogecoins. There is also plenty up for grabs. 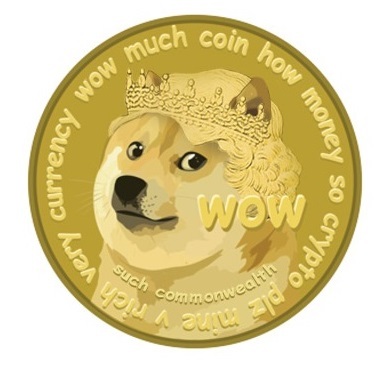 Dogecoin’s mining block shows that just 14 percent of all potential coins have been mined to date. The fact that the service and currency have been targeted by a hack is arguably another proof point for the currency. At one point last week it was the seventh most popular virtual currency, though it currently ranks twelfth, according to Coinmarketcap.com.